In this remarkable book, world-famous Mexican healer Sergio Magana unveils the secret practices of the 5,000-year-old Toltec tradition. When the phase of the Sixth Sun began, it was time for the ancient teachings of Mexico to be shared with the world. Sergio Magana's dreaming teacher predicted that, after the eclipse on 11 July 2010, Sergio would be one of the spokespeople to carry the teachings of this rich spiritual tradition, which has been closed to outsiders until now. 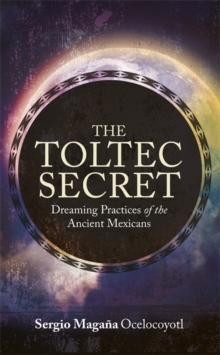 The original holders of this secret knowledge, the Chichimeca, were considered to be masters, with a deep understanding of the dream state and a working knowledge of how our perceptions form our reality, as well as the capacity to influence matter. In this extraordinary work, Sergio shares the wisdom and practices that inspired Carlos Castaneda to write about nahual and tonal reality, and explains the deep power of dreaming, altered states of perception and expanded consciousness that will enable you to: . become lucid in your dreams . 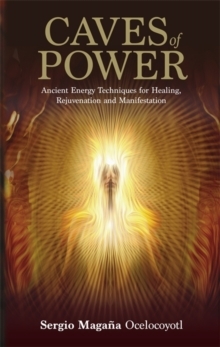 heal and rejuvenate your body and send healing to others while in the dreaming state . communicate with your ancestors . develop different types of perception to see energy and altered reality . use the mysterious obsidian mirror for cleansing and healing yourself and others . see your teyolia, or path of the soul, to learn who you were in past lives and release parts of yourself that are trapped in old experiences.